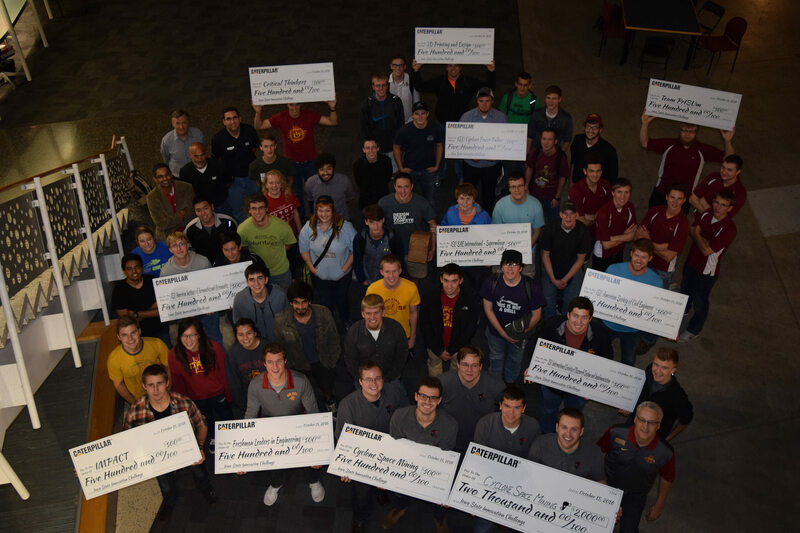 Student groups pose with their jumbo checks after the 2nd annual Caterpillar Innovation Challenge on October 15, 2016. Photo by Nick Fetty. Check out the video below as well as photos from the event.